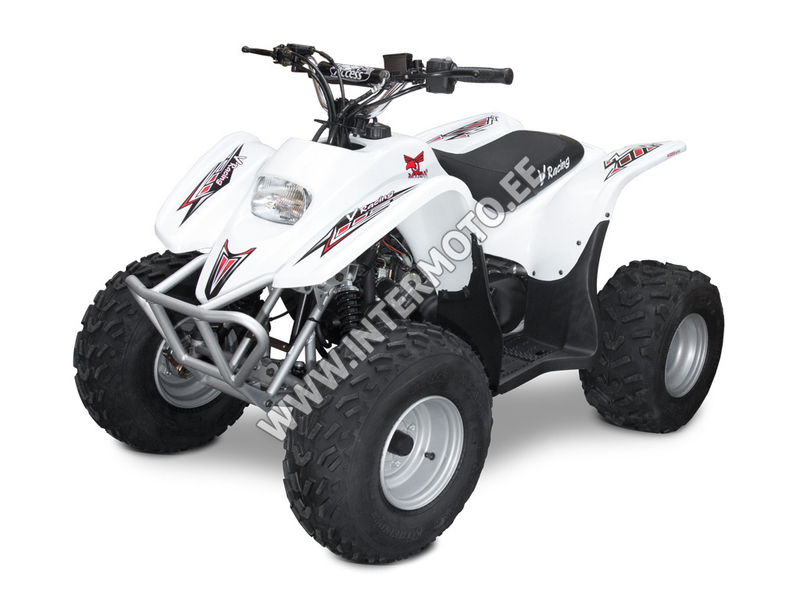 One of the most promising children's four-wheelers for young pilots and future champions. 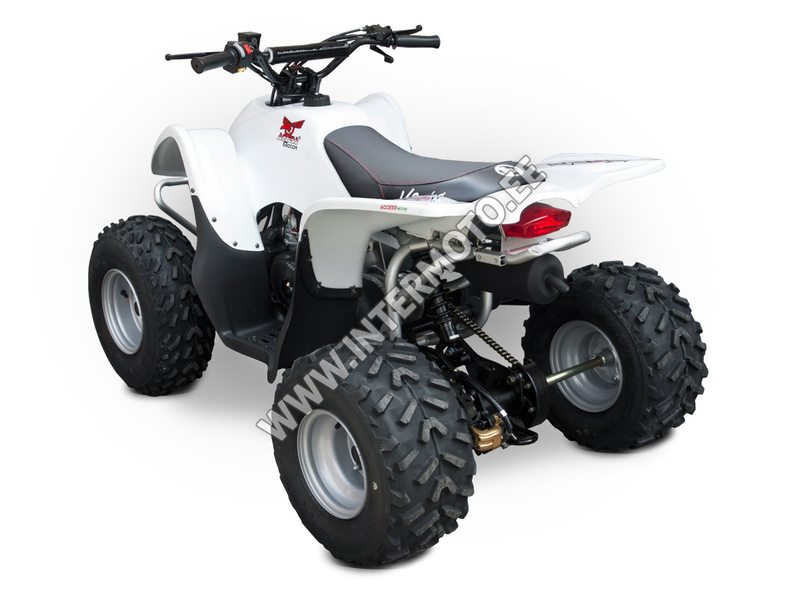 It is wider and more stable than other children's quads, and with playful and easy controls, a low center of gravity, automatic gearbox and electric starter is literally a fun factory for all active kids. A powerful engine is also a powerful engine. This can be restrained for the start, but once the young pilot gains experience, the DRR 100 has a lot of potential for its further development, and even after a while it will not stop it as much as fifty. Another advantage is a return that will allow your child to get easily out of an agitated situation. Reverse allows for better handling in difficult places. Thanks to the return, the child will quickly solve each difficult situation without having to manually return to the original direction as a parent. You can simply select the forward or reverse speed and move on. Small pilots immediately fall in love with a lively two-stroke engine with plenty of performance for day-to-day running. Automatic lubrication automatically adjusts the optimal oil dosing ratio so that it does not concern the preparation of the mix. Simple and reliable air-cooled engine has low maintenance and enough power. This can be restrained for the beginning, but after opening, the child will be surprised to discover the true potential of this quad. Most children's ATVs are good only to learn the basics, but their options end and as your child speeds up, they become dangerous. The Access DRR 100, however, has new and new features in your inventory to help your child learn and improve continuously. 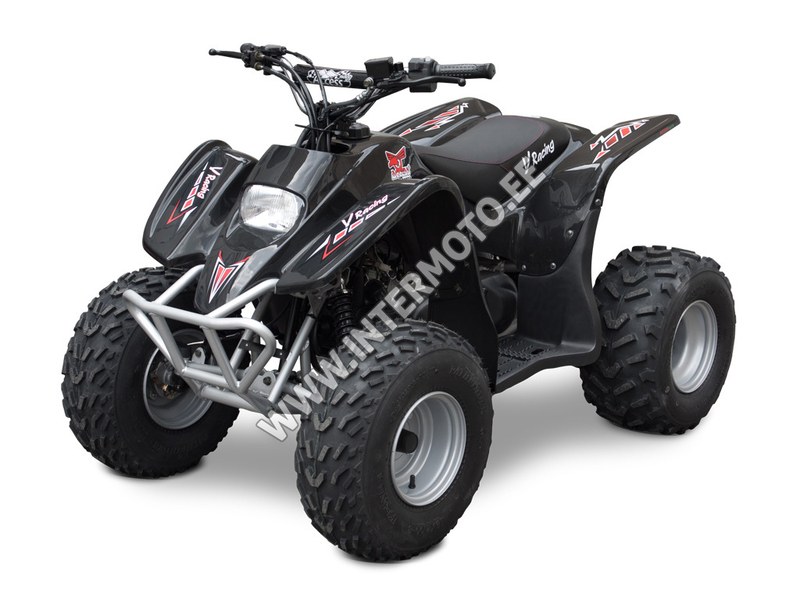 The wide and extremely stable chassis design allows safe curving of the curves, a good suspension does not let the baby handle the handlebars and conjures smiles on his face. The automatic gearbox allows the child to fully concentrate on driving without having to distract his attention by gearing. Another advantage of this automatic gearbox is that the engine stroke during the acceleration is completely smooth and without any interruption of the drive force when shifting. The rear wheels are driven by a chain that is safely covered in places where the child could come into contact with it. 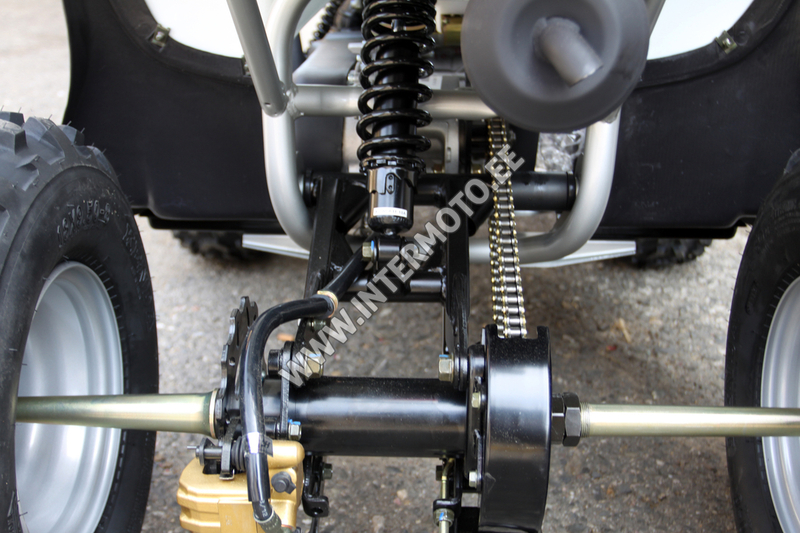 High-quality spring and damping units, at the rear with a progressive spring, are five-way adjustable depending on the terrain and the difficulty of the track, speed and performance of the child. Extremely long suspension strokes and optimally matched shock absorbers make all terrain unevenness possible, riding is most enjoyable and safe. 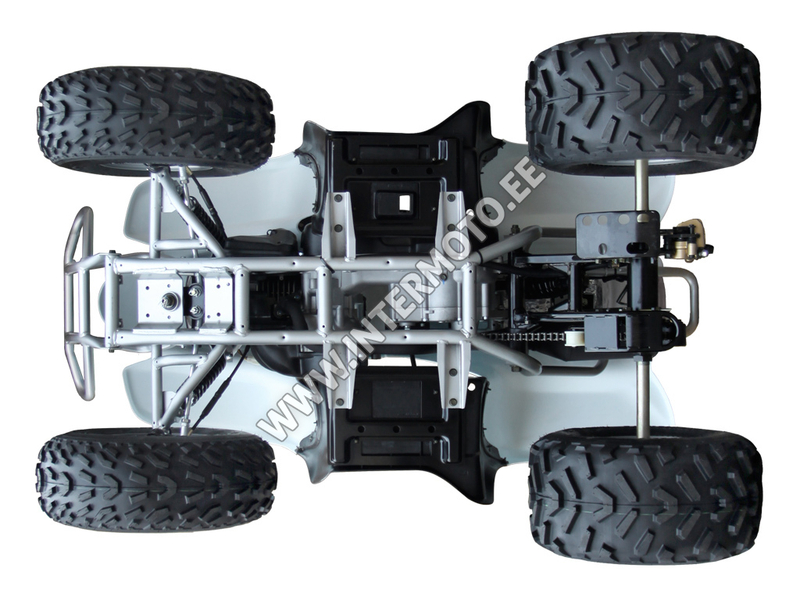 Fully independent suspension of the front wheels in the double trapezoidal arms allows for perfect traction and therefore excellent steering control. Brake system with rear drum and front with drum brakes is sufficiently dimensioned and easy to use by hand levers on the handlebars. The footrests remain free and unobstructed, thus minimizing the possibility of slipping the child's foot for safe movement when riding. Uncompromising approach is reflected in the construction of the saddle. Its shape makes it easy to carry weight and provides excellent support while driving. At the same time it is comfortable enough so that a child can smile for it all day. We also thought of a non-slip cover for safe ride in wet and mud. When the fun stretches to sunset, with DRR 100, your child will still be able to see the road. With an efficient front reflector and super-visible rear light, you can safely find your way home even in the dark. 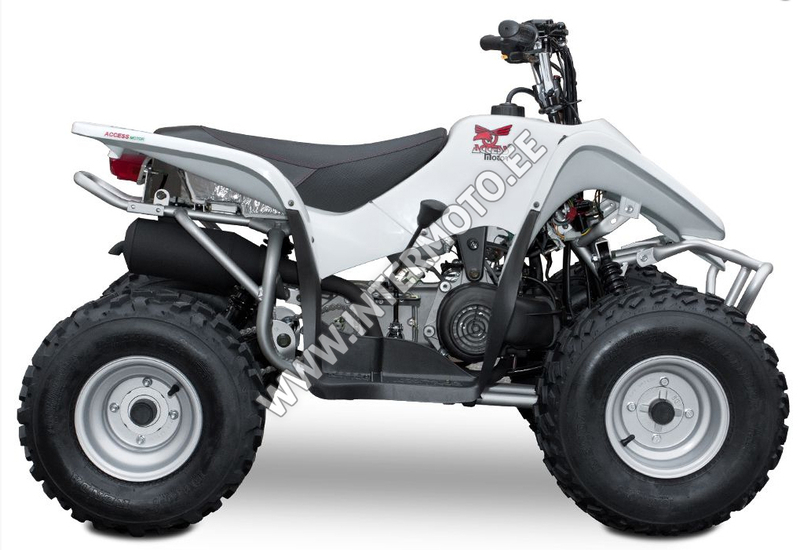 The DRR 100 quad bike has a major focus on driving safety. Thanks to many safety features, a quad bike alone helps keep your child safe while driving. The most important safety features include a covered chain, the ability to limit maximum speed, easy and clear operation, safe brakes with easy lever controls, round edges of all plastic without sharp edges, good lighting at the front and rear, anti-slip pedals without interfering brake pedal, low center of gravity and high-quality cushioning.